Manhattan, NYC is known as the largest residential and commercial real estate market in New York, as well as the hub of the world’s financial industry. For any building erected before 1978, there is a very real danger of asbestos exposure. 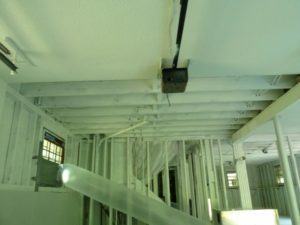 If you own commercial property, a townhome or an apartment building of that vintage, it is highly likely your building is harboring asbestos and it must be removed immediately. We have been handling asbestos abatement (removal) and remediation (site cleanup) in and around Wall Street for more than 25 years. Until the late 1970’s, asbestos seemed the perfect building material in NYC (as it was both strong and fire-retardant), so it was used in asbestos insulation, sheetrock and plaster, asbestos flooring and even that most common sight in many offices, the “popcorn” ceiling. No one foresaw that as the buildings in Manhattan aged and these materials degraded, that they would release invisible asbestos fibers into the air—and the lungs—of those exposed. This floating asbestos can cause cancer, Mesothelioma, pneumonia and Asbestosis; all life-threatening lung diseases. We begin the abatement process in your Manhattan building by sending in an independent testing firm to sample the air. If asbestos is found, our highly trained and experienced team goes on-site to create a decontamination zone. They wet any hazardous material and use negative air machines to avoid having any asbestos, disturbed during the removal process, from entering the air. They then carefully scrape and remove all asbestos for disposal off-site and begin remediation. In remediation, any area exposed by abatement gets sealed with shellac and the entire area thoroughly cleaned with special filtering equipment. Then the air is retested and, only when no trace of asbestos remains, do we allow your employees, tenants or family back in the now-safe building. Free asbestos consultation is available in Manhattan, NYC by calling (877) 645-1428.